“Lemme get one of that.” If I was lucky, they’d have more. Sometimes I’d pick something out of the bins that just looked like it had potential and placed it in the queue to be played and just waited to hear it. That is, unless whoever was behind the counter would say: “just get it” and of course that’s all I needed; it was now in my “buying” stack. 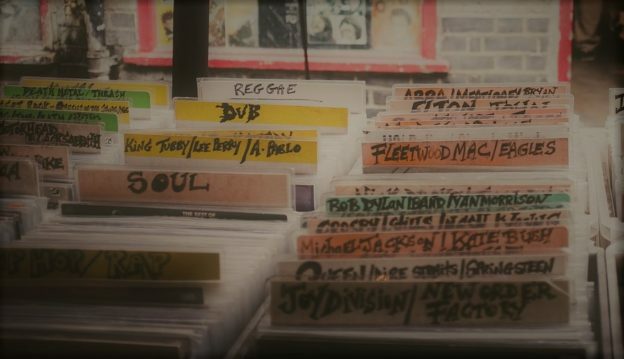 I especially liked going in and declaring: “I haven’t been here in x amount of time; what should I get?” I’d be presented with a stack of vinyl, some to “just get” and others to review, when they played it. I’d walk out with a feeling I really had something special that I’d cherish for years to come. Indeed I still have every record I ever purchased from there and although my attachment to these vinyl discs, borders on crazy; I’m ok with it. Vinylmania still lives though, if only in the virtual world.